Secondary glaucoma is usually caused by another eye problem (such as iritis) or previous eye operations (e.g. 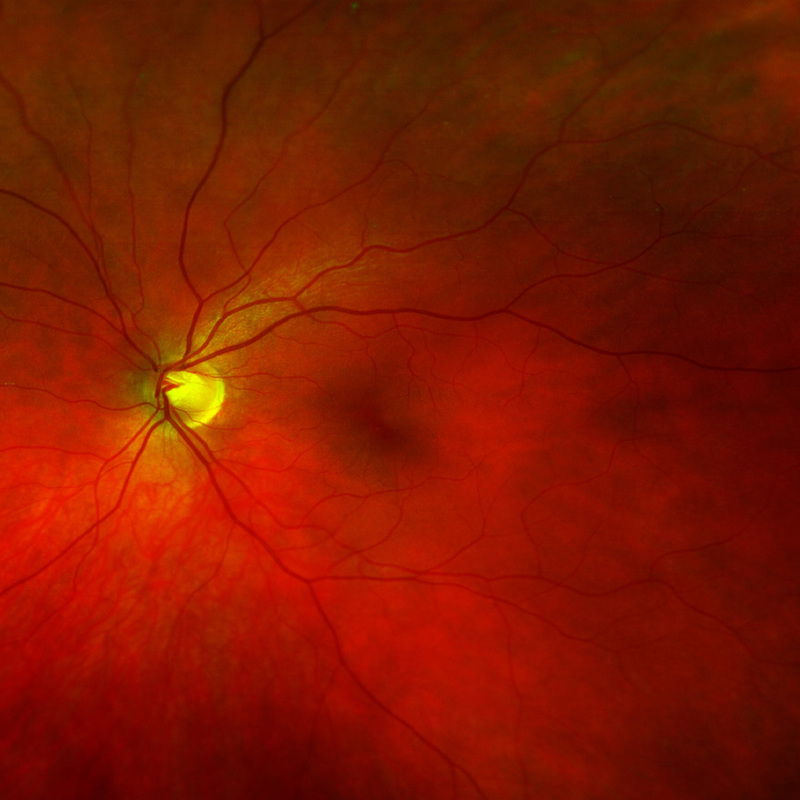 retinal detachment). This type of glaucoma can either be open angle or closed angle in nature. It can therefore occurs at any age group. Secondary glaucoma can be symptomatic as the eye pressure can become very high and causes pain or cloudy vision in the eye. However, when the eye pressure is only slightly high, it may be completely asymptomatic and cases delay in the diagnosis. The diagnosis of this type of glaucoma requires all the same tests as for other types of glaucoma; visual examination of the nerve of sight where it leaves the eye (the optic disc), a check of the pressure in the eye (the intraocular pressure) and a test to map out any blank or missing patches that may be found in the vision (visual field test). Other tests may include measuring the central corneal thickness (pachymetry) and looking at the drainage angle in the eye (gonioscopy), and OCT scan of the optic nerve. Treatment for secondary glaucoma is often related to the underlying cause of the condition. Once established, laser, medical and other surgical treatment may be recommended. All treatment for glaucoma is designed to reduce the level of eye pressure to a point at which further damage to the optic nerve is prevented.